We are engaged in manufacture and supply of a wide array of high utility Ergonomic Furniture like Magazine Display Rack, Filling Cabinet, Wooden Stool, Display Boards, Bookshelf, Pigeon Hole Unit, Almirah etc. All our furniture are durable, sturdily fabricated and are available at very competent rates. Availability in vast array of designs and colors makes our products a preferred choice of bulk buyers. 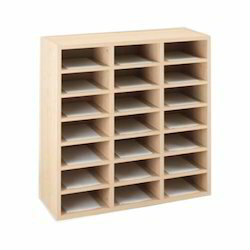 We offer high quality Pigeon Hole Rack, ideal racking system for schools and institutions. These are strong and yet look stylish. 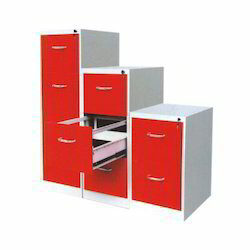 The units can easily fit easily into the modern day office and institutions. They can be mounted onto walls or can be floor standing. These are designed to store stationery, files, literatures, mails etc., in a very organized manner. Our pigeon hole units are in high demand for dimensional accuracy, seamless edges and durability. The compartments can be made as per client specified size and number. We manufacture and supply Magazine Display Rack, which are made up of bets quality MDF boards and are finished to perfection. These racks are in high demand across Offices, Institutions, Libraries and Magazine Stores. 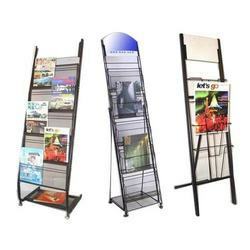 Our range of Magazine Display Racks is available in various designs and in different capacities, as required by client. Besides, these consist of number of shelves and are compact in sizes, thus requiring less space. We customize our products as per the requirements of our clients and assure value for money in our products. We offer Filling Cabinet Rack with multiple shelves that are capacious. Besides, these cabinets are available in various sizes, shapes and colors. We work in close coordination with our clients and come up with innovative designs that meet their aesthetics needs and we are also appreciated for such efforts. Our clients can avail these at market leading prices and we assure that the filing cabinets we offer are not only stylish and trendy but also durable and offer optimum space utilization. 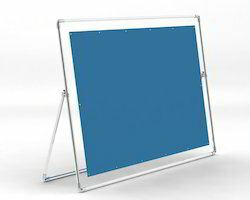 Looking for Display Rack and Boards ?